Fridges might be the queen appliances in each house but who doesn't also need ovens, washing machines, dryers, and dishwashers? And due to their importance, each service provided by Appliance Repair Morristown is essential. When one of your kitchen appliances malfunctions, leaks, or doesn't work at all, rely on our repair service. When either washers or dryers act up, depend on our quick service. 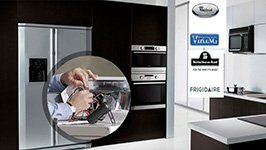 We have an expert appliances repair team at our business and will be happy to cover your local needs. With respect to its history and heritage, Morristown is home to the National Historical Park but also Morris Museum. With respect to client needs, our Morristown appliance repair techs take care of any fridge, stove, or washer problem in a timely manner. When it comes to washers not latching, freezers and fridges leaking, dishwashers not draining, and dryers not working right, we provide same day assistance. To ensure functional and hassle-free appliances, we also install any new unit and are available to maintain the existing ones. 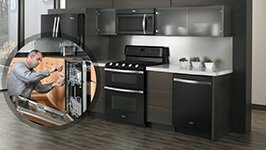 In our Appliance Repair in Morristown, our pros service all large brands. We can take care of most branded models and are updated with the recent appliance technologies. So whether you own a new age French door fridge or an old model, you can count on our refrigerator & freezer repair expertise. From ovens and ranges to stoves, dishwashers and microwaves, we service any major kitchen appliance. 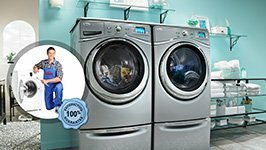 Want urgent washer & dryer repair? Whether they are separate or combination appliances, our techs have the required skills to do the right home appliance repair work. Our appliance repair service might include alignment, parts replacement, and leveling and adjustments. And any task is done correctly and with great precision. We carry an assortment of repair parts with us in order to replace the worn and broken components. And the time of our response is fast. 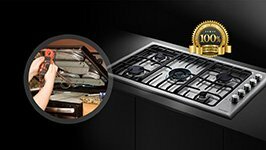 Our appliance technician will be there urgently when you are in need of same day service. But he will also be at your home on time for any scheduled service, like installing a washer or servicing the fridge. What's crucial is that you can count on our Morristown Appliance Repair every time you want help. 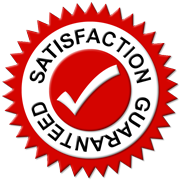 Whether for new dryer installation or urgent gas oven repair, our team is certified, on time, effective, and experienced. So do get in touch us for any repair service in Morristown, New Jersey.